Turkish President Recep Tayyip Erdoğan on Friday said that the 18 people who were arrested in Saudi Arabia in relation to the killing of journalist Jamal Khashoggi know who the murderer is. Erdoğan also called on Saudi Arabia to disclose the location of the body of Khashoggi and said Turkey had more information about the case than it has shared so far. He said Riyadh needs to disclose the identity of the "local cooperator" who purportedly took Khashoggi's body from Saudi agents after the journalist was killed at the consulate in Istanbul on Oct. 2. “Saudi's public prosecutor is due to meet the Istanbul prosecutor in Istanbul on Sunday,” he added. “We will not allow activities that will endanger our borders,” he added. 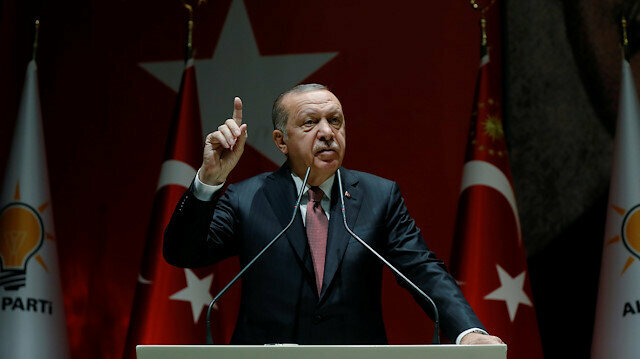 Turkey and the U.S. in June struck a deal focusing on the withdrawal of YPG/PKK terror elements from the northwestern Syrian town of Manbij, and Erdoğan has repeatedly stated that Turkey might launch a military operation to the east of the Euphrates river to purge the region of terror elements.